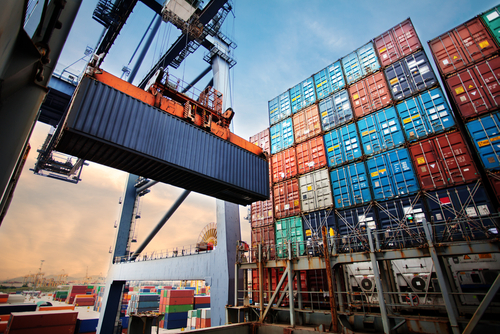 Threats of tariffs loom over the logistics industry, and ports are particularly worried - Specialty Freight Services Inc. The logistics industry is particularly vulnerable to changing winds in the geopolitical landscape. In a globalized economy, everything affects everyone, and in an industry that is deeply involved with the physical exchange of goods between nations, changes can have large effects. Most of the time, these changes are the result of economic shifts from country to country. But recently, the unusual threat of tariffs has been a cloud over the entire industry, particularly for the United States’ ports that work on the front lines of international trade. In June, President Trump and his administration levied a $50 billion tariff on Chinese imports, who quickly responded with a $34 billion tariff. The Trump administration escalated the tariffs, slapping a $200 billion tariff on Chinese goods. China, again, threatened to respond. President Trump has claimed to be prepared to charge tariffs on up to $500 billion in Chinese goods, effectively charging a tariff on all Chinese imports. Such significant tariffs obviously have a significant economic impact. This is especially true for the logistics industry, and for ports, who are the first point of contact for most imports. That’s because tariffs are simply taxes on imported goods, making the processing and acquisition of those goods more expensive. Ports are currently doing significant business in the wake of a strong economy. Year-over-year numbers for TEUs (20-foot equivalent units) for the Port of Oakland, Port of Savannah, Port of Baltimore, and Port of New York and New Jersey saw percentage increases of 8.7%, 3.1%, 8%, and 6.8%, respectively. However, ports are concerned about the effects of tariffs to this strong business. Mario Cordero, executive director of the Port of Long Beach, California talked to CNBC about potential Chinese retaliatory tariffs on the Trump Administration’s $200 billion tariffs on Chinese goods, calling them “a game-changer” and “detrimental to jobs at the port and detrimental to the state and national economy.” In concrete terms, Cordero said that slowdown in trade with China would cut into local and state tax revenues and, of course, bring layoffs. The good news for ports is that the trade war hasn’t kicked off in full. The bad news is that even the threat of tariffs brings major uncertainty. That uncertainty can potentially soften trade as both buyers and sellers transition their processes to better withstand extensive tariffs. The threat can also slow down potential logistics and port infrastructure projects as they adopt a ‘wait and see’ approach. As long as tariffs remain a hot button issue for the Trump Administration, the threat will continue to manifest itself at ports and elsewhere along the shipping channels, even if the tariffs themselves aren’t applied. For an industry that is subject to significant and quick changes, this may just be the new normal. Fortunately, since the lifespan of tariffs is generally fairly short, it is unlikely to remain the new normal forever.